A couple of things that I feel I need to say. 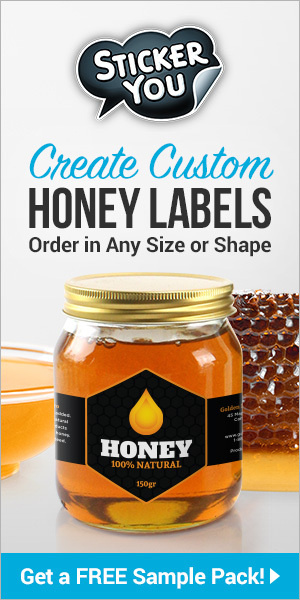 Odds and Ends – Hot bees and thick honey. When is it robbing and when is it swarming? 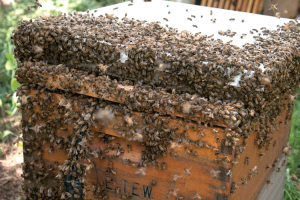 I wrote last month that I had gotten two free swarms this season. They came to me from points unknown. As of yesterday, I can add a third swarm to my season’s collection. That’s three last year and three this year. Before last year, I got maybe a single swarm every two-three years. I don’t know from whence they come, but I am happy to get them (Except for the cranky one I wrote about last month. More on this later in this piece.). I am aware that some of you get 20 maybe 30+ swarms per year. I don’t, so these free bees have been exciting for me. I was performing normal bee yard work a few days ago (May 27th) when I heard what sounded like a WWII bomber squadron flying overhead. Of course, I only know what old plane engines sound like from years of war movies. I live near the local county airport. Periodically, some strange machines fly over my house. I positioned my hearing aid-assisted head and quickly realized that the sound was a swarm approaching my apiary – at that very moment – arriving in the air above me. I feared that it would do the usual swarm thing and cluster sixty feet above the apiary just to taunt me. Nope. With pinpoint accuracy and much like a 747 gliding in, the swarm zeroed in on a short stack of empty equipment. The stack was very close to other established colonies. This had to be a precision landing for the swarm. It was. Guards, robbers or scouts? Each one means something different to the beekeeper. About two weeks ago, I noticed robbers around this same stack of equipment and noted that the nectar flow was weak. While observing these “robber bees”, a swarm landed with great fanfare in the empty equipment. I took a humbling moment to reflect that I had confused robbers with swarm scouts. This first swarm stayed hardly three hours. Off they did go, again to points unknown. Bummer. The very next day, there were several tens of bees checking out the abandoned equipment busily coming and going. Aha! These must be scout bees reconnoitering the site in preparation for the swarm’s return. It didn’t come that day, or the next day or even the next week. Yet there were bees checking it out all the time. A different equipment stack had bees coming and going leaving telltale wax cappings signs that it was truly robbers. Second bummer. There were other signs around my apiary that robber bees were up to neighboring colony malfeasance. This large swarm easily overpowered the robber bees. No contest. Robbing, just beneath the surface of apiary normalcy, was all around me. I reflected that the swarm season was over and that the robbing season was clearly under way. That’s nearly exactly when the bomber sounding swarm came in to occupy the empty equipment – for the second time. I have no way of knowing if it was the same swarm. 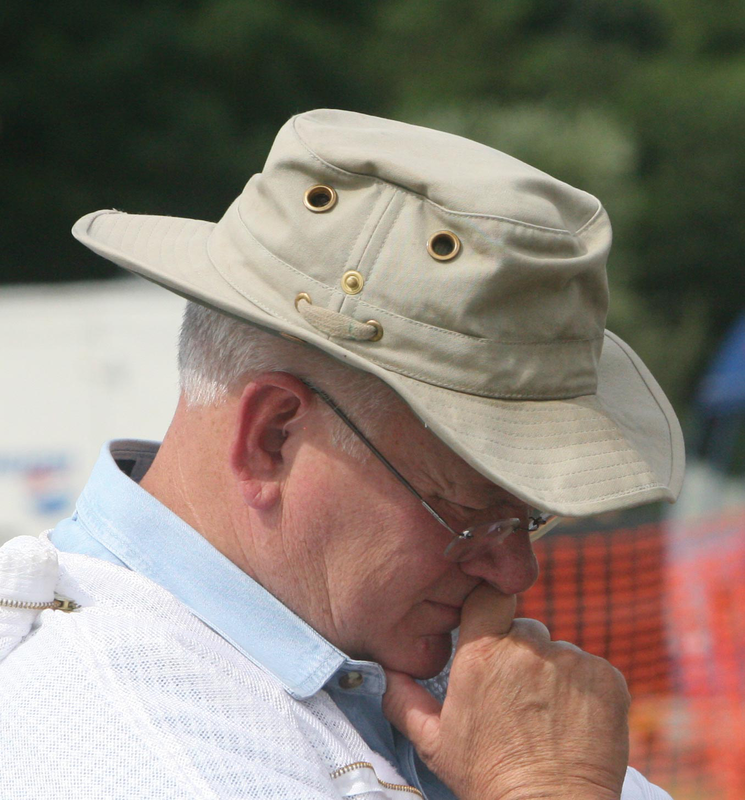 It had become very plain to me that it is difficult to determine swarm scout bees from robber bees when both kinds of bee are at the same job site. I’m comfortable saying that they mix within the hive equipment of interest. As the swarm landed, brouhaha broke out between swarm bees and robber bees – both wanting the same nest site, but the robbers were quickly ousted. It was a highly educational episode for me for I was no part of the event. My only role was stacking empty equipment in order to photograph my apiary for you. The stack was not meant to be a swarm trap. In preparation for a future discussion with you about queen prices and queen introduction, I had established two very small nucs into which I released my pricy queens. It was, and continues to be, a beautiful plan. As the robber/swarm situation resolved itself and as I was feeling good about all things in my beeyard, I strolled to review the two nucs. They were under full attack from robbers. It was bee chaos. I closed the nucs up and moved them 60 yards away. I found, to my great relief that I had caught this situation before the queens were killed. Good grief – what else can happen in this beeyard on this day? As the afternoon passed, the swarm stayed put, and the nuc robbing stopped. Bee things returned to normal – except for several hundred roaming bees that lethargically drifted about the yard. 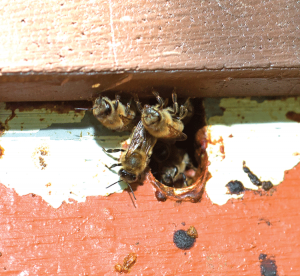 These disoriented bees did not appear to be on robbing missions. The scenting at the swarm entrance had been greatly reduced. I ask you, were these lost bees separated from the swarm? What was their ultimate fate? Based on this single observation alone, I could not tell the difference between swarm scout bees and initial robber bees starting to loot. I’m sure that later on, the robbing behavior would have become very obvious. Long before beekeepers were fretting about nectar sources, bees were thriving and readily visiting a variety of plants that are now designated as weeds1. Well, now we certainly can’t have weeds, so industry has developed some very admirable weed killers to meet our needs. Hypocritically, even this season, I used some of them on my front lawn. I used them because my neighbors used them, and I don’t wish to be “that house” in the neighborhood. Presently being in the process of disposing of my parent’s property, I have become hyper aware of the concept of property value and how it is affected by appearance. Weeds do not impress potential buyers – even if they are flowering and are benefiting pollinators. Ergo, I kill weeds on the parts of my property that show in order to fit in with the rest of my neighborhood. No, my property is not presently for sale, but other properties in my neighborhood are on the market. No matter what direction I take, I feel guilt. This thought thread is due to my acquisition of two BeeSmart robbing screens. I confidently told the supplier that I would not need these until July. (Today is May 31st). Well, that certainly changed. The traditional bee plants in my area are steadily passing through the annual cycle as it steadily rains every other day. My bees and I have gotten nothing. A clover forager. I had to convert a photographic slide for this. 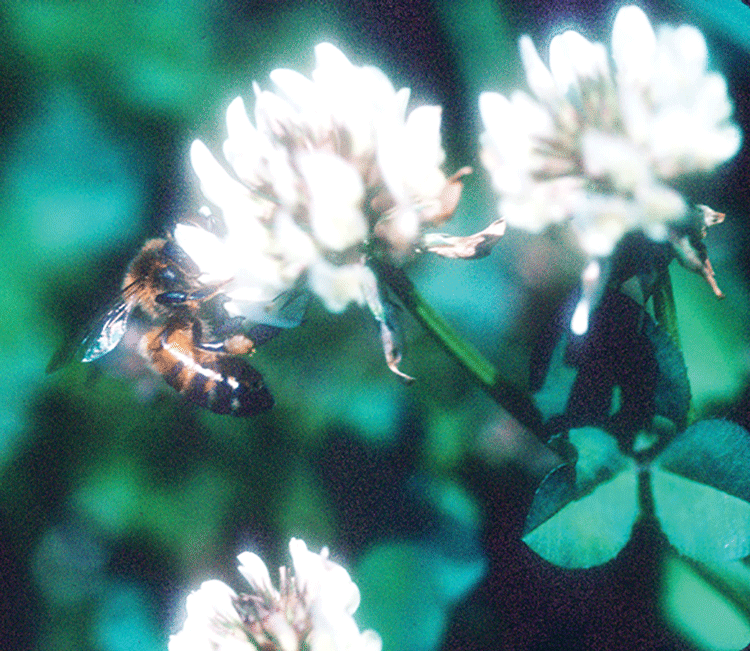 On the clover that is left, bees are few. Is she a pollen collector or both nectar and pollen? In my bees’ foraging area, clover historically has been the “big bang” nectar plant followed by both yellow and white sweet clover. Yesterday (May 30th) I had both a swarm land and two mating nucs attacked. Where I keep bees, those two behaviors are commonly separated by three-four weeks. At least that is what I was thinking as I spoke with the company representative manufacturing the robbing screen. That brings me to this point. In my area around Wooster, Ohio, white clover is no longer a meaningful nectar plant. I have not really gotten a clover flow in years. Though we cannot kill common invasive plants, consistent and persistent herbicide use has really worn down the formerly ubiquitous white clover into near oblivion. There should be a nectar flow now, and it should be a good one. Instead, I have swarming (from previous flows), robbing, and no flow. Just four or five years ago, various members of my family and I would sit outside at dusk and watch the bats come out. At any given time, there would be 10 – 20 bats swooping and darting in the darkening night. Last night we saw two, and I suspect it was the same one making two trips. As you know, bats are currently being subjected to a disease that has killed or sickened many bats. My daughter and her family had a novel experience when they found a bat flying around their house late one night. To their credit, they actually captured it, but read on the Ohio web page that a captured bat should be tested for rabies. It was tested, the test was negative, but the bad did not survive the test. One of the few clover patches in my front yard. It is unattractive to bees. 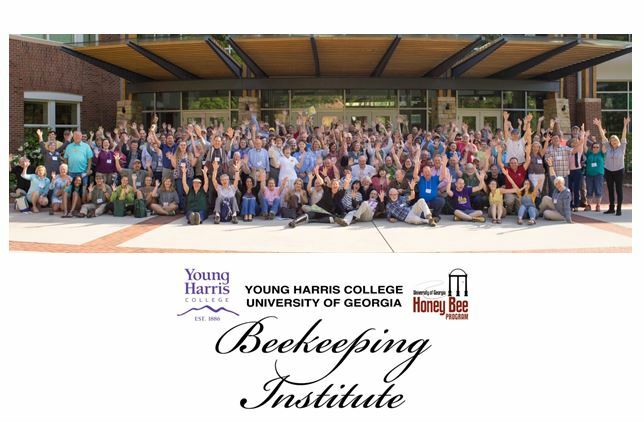 I support all pollinator garden programs as much as I can. I have not a single negative thing to write about this concept. But all of these programs face serious and perpetual challenges before they become commonplace. But garden people please don’t quit. In my life, as a suburban property owner and beekeeper it seems to me that pollinator gardens and bee plantings are not like lawn maintenance. While a lawn equals a comfortable riding lawnmower and a quick job well done, a garden equals specific work and care. Here’s my point – I have bees swarming, neighbors being stung, some robbing ongoing, perpetual queen issues and six grandkids. So now I will be putting in a flowering garden that requires maintenance? Hmmm. Is this an idea for beekeepers or gardeners? I know you are going to say ‘both.” Okay, I going to try, but I suspect my flowering garden will be scruffy at times. The bees and other foraging insects won’t mind. Last month, I wrote about a troublesome situation in which a testy colony was stinging both my neighbor and me. Knock on wood – I now seem to have that issue under control. I moved the two colonies to a remote 40 acre field far away from anyone. At that location, I had a thought – let things calm for a while and then determine if requeening in needed. So, for now, the neighbor issue is resolved, and if needed, queen replacement will proceed at this new location. Though the extracting process, about which I previously wrote, took longer than I expected, the bees did clean and move the honey. In fact, I think the bees used most of it rather than relocating it. If I do this strange extracting procedure again, I will only give a couple of open frames. I gave six to one colony. That was too much, too fast. I’m closing the file on this project. No worries. Many other topics are opening. For instance, are ants always enemies of bee colonies? Really? More later. 1In a lost effort to be sarcastic, I have italicized the word “weed” throughout this piece. 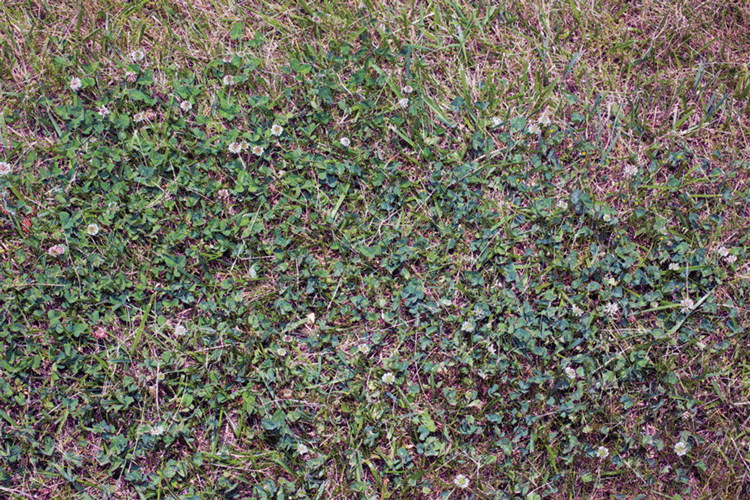 A weed is something ugly and bad – like cockleburs or sandspurs or poison ivy – right? In my own lifetime, I can easily recall when grass was the weed in flowerbeds and row crops and clover was the good plant. Clover is not a bad plant, it’s just in the wrong place. 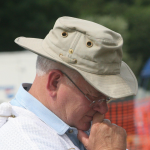 Good grief – give my bees and me a break. 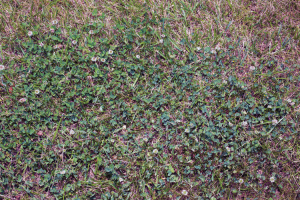 2I am not saying that clover is gone, but I am saying that where I live, it is greatly diminished. I still commonly see it, but not like it was twenty years ago. South of where I live is a very large Amish community. Clover is alive and well there. Additionally, there are many factors that affect pollen and nectar flows from Clover. 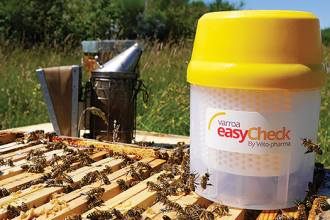 Like fishing, bees and beekeepers must find just the right spot.